Business Systems & Consultants has been in business for over 43 years serving industries all across the southeast region. Some of our services include conversion services such as document scanning services, mircofilm scanning, large format scanning, and more. Converting your paper-based records into electronic documents can yield significant benefits. Square footage is freed for other purposes, information is available at the click of a mouse, and each document can be protected, with offsite back-up to insure disaster recovery. If your documents are already scanned, we’re happy to assist you in indexing the additional information required. We provide indexing services to simplify the process of retrieving documents. 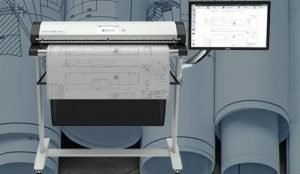 BSC provides large format scanning services. 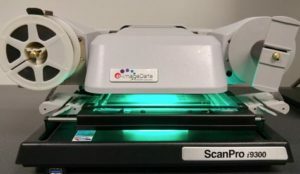 When seeking companies that provide document scanning services that suite their needs, contractors, engineers, architects, libraries, museums, etc. expect reliable service and high quality images. 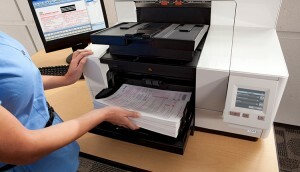 BSC is a leader in document management and boasts years of experience in comprehensive wide format scanning. We can convert your engineering drawings, maps, architectural drawings, records, files, etc. into tiff’s or pdf’s. In addition, bound material can also be digitized by our conversion services staff. Changing information and changing regulations often leaves offices overwhelmed. That’s why we offer a wide array of sophisticated conversion services from scanning services, microfilming services, and much more. BSC has offered conversion services since 1976. Our conversion staff better known as the Service Bureau knows how to handle each document, smoothing every system transition. The resulting records will be of the highest quality. produced by the most advanced imaging equipment. We have the capacity to transfer documents or microfilm images – from small offices to a multi-national firm, we can handle any conversion need. Converting valuable microfilm images to a digital format provides end users easy access to archived information. BSC can convert your roll microfilm, microfilm jackets, aperture cards, or microfiche to a digital format. In addition, for archival disaster recovery solutions, BSC can create microfilm from digital images. This eye-readable back solution provides an alternative to storing original hard copy documents. If you’re on the fence about converting your documents or records to a digital format, sign up for a free assessment and speak with a representative about your unique sitation and we’ll help you in any way we can.